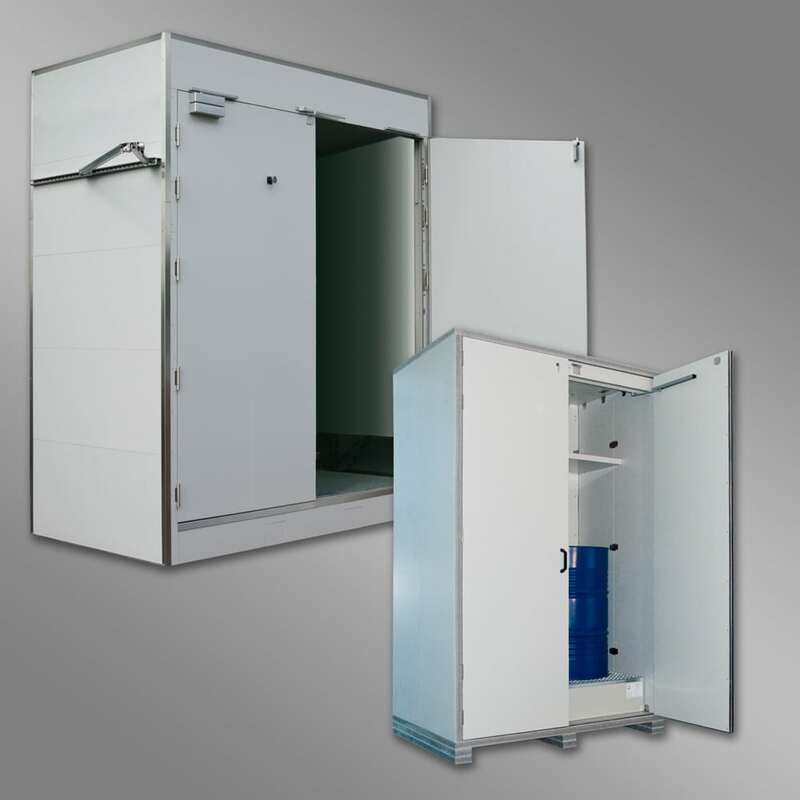 Fire-protected storage plays an important role in hazardous material storage. Legislation requires for certain materials to be stored in fire resistant, separated areas. Boxes, containers and storage rooms provide diverse options for hazardous material storage. Depending on the requirement and need, these can be equipped for different container types and sizes.